Posted on 1st May 2018 at 2:17 pm. Soon your exams will be over and you can enjoy every second of summer, but don’t forget it is also time to get organised before leaving your accommodation. You don’t want to start summer with a mountain of stress or forgotten belongings! 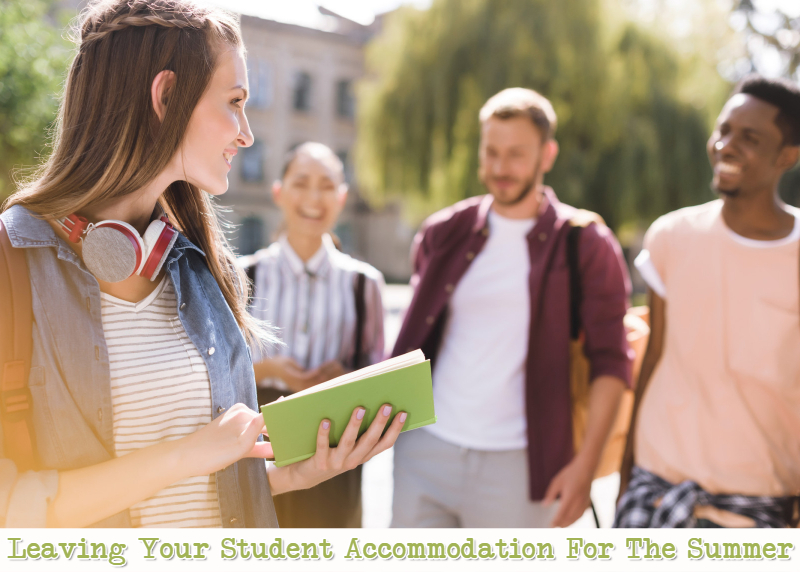 During the summer break, all Student Rooms 4 U tenants are required to vacate their student accommodation, which means that there are certain procedures to follow. Whether you are vacating permanently because you have finished University (we’ll miss you! ), or whether you are planning to return in September, it is advised that you get everything arranged well before the day you leave. 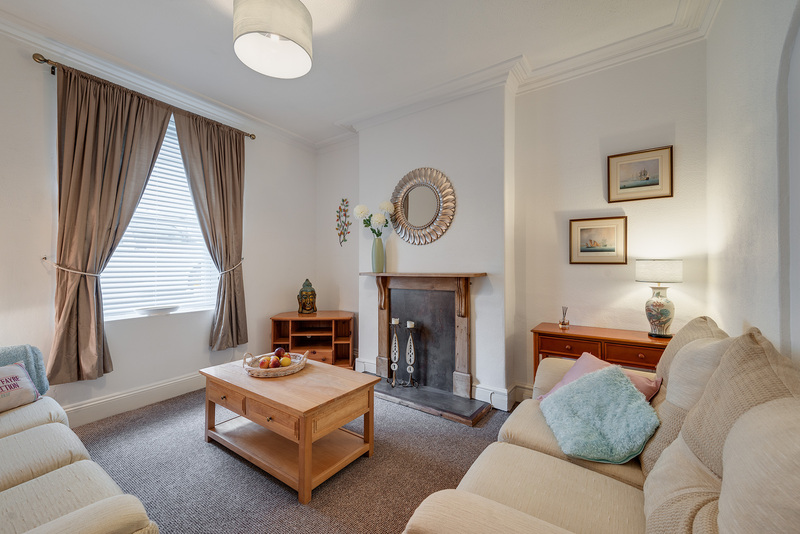 Firstly, think about everything in your property which needs to be removed, clothes, technology and other personal items. Write a list – are you able to take them with you or do you need to look into local storage options over the summer? If you have transport, and can pack up a car or van and stay with a friend or family member over summer, all well and good. If, on the other hand, you do not have this option, or you simply have too many belongings, you’ll need to consider other solutions. This may be a good excuse to get rid of a lot of unneeded clutter you’ve accumulated over the year! You could take your items to a charity shop or recycling centre, or if your belongings are too valuable to part with you may need to spend a bit of money putting your belongings into temporary storage over the summer break. There are companies in Plymouth which offer fantastic storage services to students at a very reasonable cost (just Google ‘student storage plymouth‘). Emailing them for a price list and keeping the money aside for their services in advance is advisable, especially if this is your only option to store your items. Once emailed, these companies will book your storage dates, and some will even deliver empty boxes for you to fill (each deal will have a different amount of boxes, so be sure to find out the size of the boxes so you know how many you need, and what deal is best to book for you personally, as everyone will have different requirements depending on what they are storing). The company will then collect them on the arranged date, and store them for the arranged time, so make sure you get the dates you are leaving and returning correct. Some companies will also store larger items such as surfboards, bikes, gym equipment etc instead of boxes, but you need to contact them with as much notice as possible, to ensure they can reserve you a storage space. Organisation will make the process much smoother for both parties. Whichever student storage company you use, check that they will insure your items so you have peace of mind that, should anything go wrong, you won’t be financially out of pocket. If for any reason your belongings won’t be insured where you choose to leave them (at a friend’s for example), it is a good idea to take the more expensive items with you, because if they get misplaced you have no way of getting compensated. So that’s the storage of your belongings sorted out, but what about the actual property itself? It needs to be left as you found it – or put another way – how you would like to find it when you return! That means emptying and cleaning out the fridge and freezer, as nobody wants to be dealing with old food left in the fridge on their return, and making sure rubbish and recycling are put into bins and left outside for collection. Also cleaning out all of the wardrobes and kitchen cupboards, and leaving the toilet and bathroom in a clean and sanitary state. If there are any security issues with the windows or doors, please be responsible and make sure these are reported to us and dealt with before you leave. Most importantly, after doing a final check of the property, don’t forget to lock up and to return your keys. Once all that is done, all you have left to do is to enjoy your summer!